When you live as close to Paulton’s Park as we do, you love Peppa Pig toys as much as my boys do. 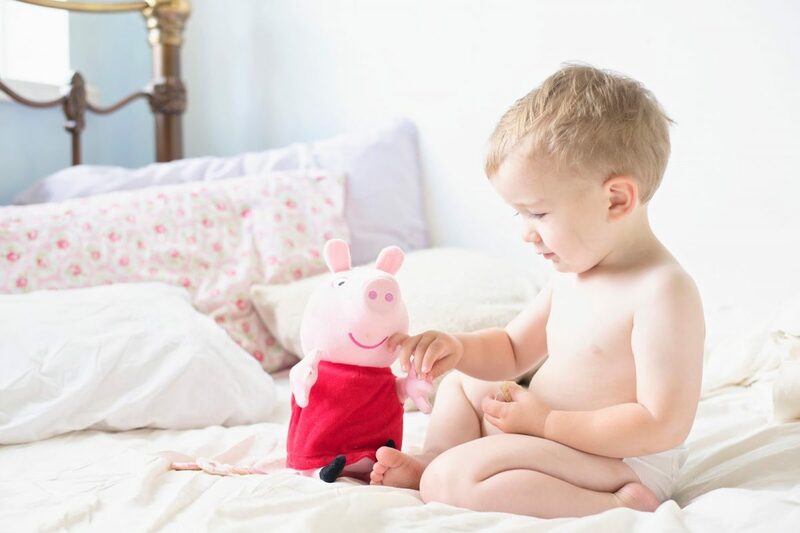 Hero is completely besotted by Georgie Pig and after his birthday present from Granny and Grandad of the Peppa Pig treehouse construction set, he was even more excited when Laugh With Peppa popped through the post for us to review. 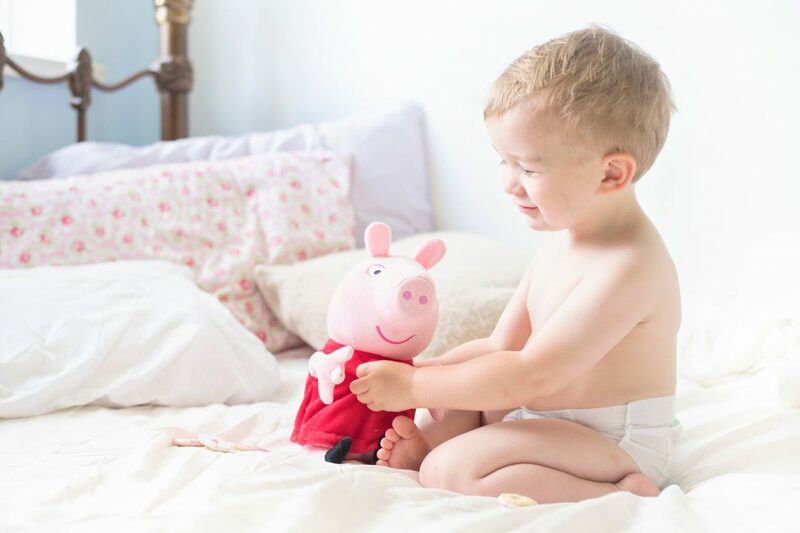 Laugh With Peppa is just under 30cm tall with her legs stretched out, and when tickled on her tummy she giggles, falls backwards and talks to Hero, saying, “I’m Peppa Pig” and “I’m your best friend”. Hero loves this and refuses to let other people tickle her at the moment. 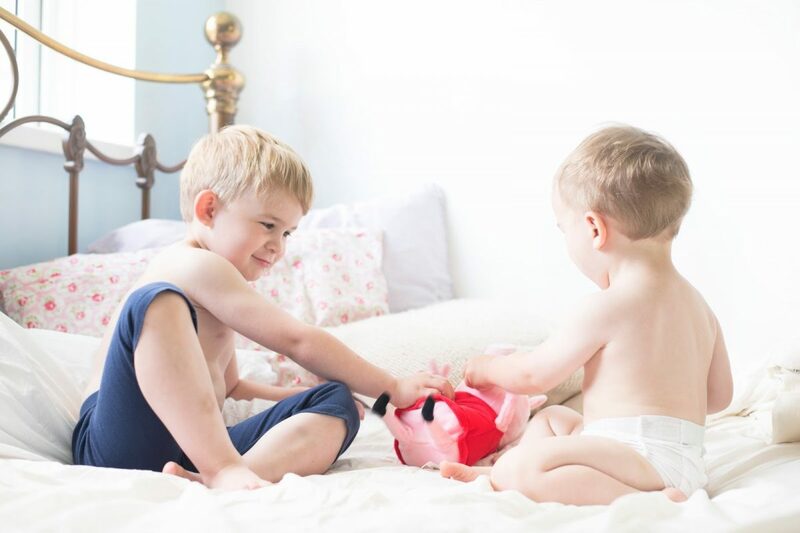 We know he loves her, even though she isn’t George Pig, his favourite, as we caught him today sharing his little snacks with her [in Mommy’s bed, because he knows just how much I love crumbs]. That Peppa is ready to go. 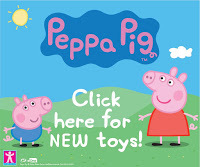 No unscrewing and battery rustling from remote controls with Peppa Pig toys! It sounds and looks just like Peppa. Her little arms and legs wiggling about when she flips backwards. That even Hero can activate her in the way he’s supposed to. Tickling actually works! This might sound ridiculous but we’ve had quite a few toys which were apparently suitable for the boys yet were too difficult to activate. Peppa does what she says she will. The price. 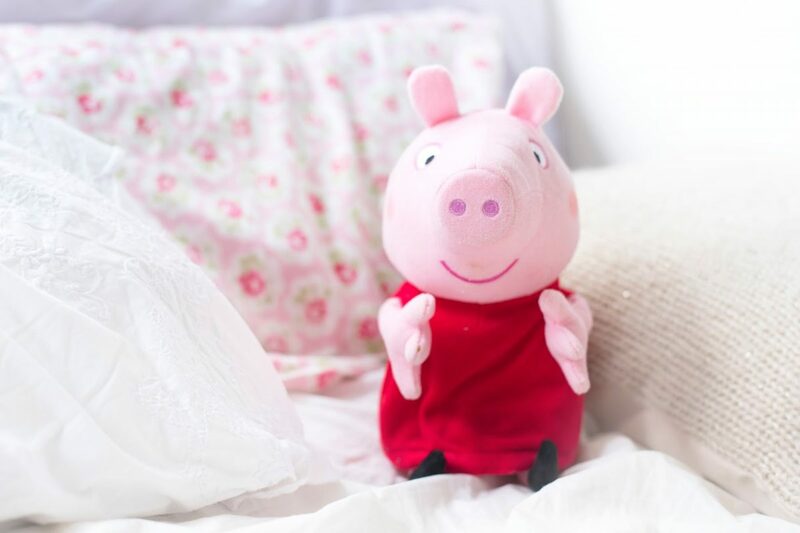 At £20, she’s durable and a fun present for any Peppa fan. That George was available, or any of the other characters as Peppa Pig toys. Freddy Fox and Danny Dog are favourites in our household, but other than the Weebles it’s difficult to get anything substantial to play with featuring those two.